Here at Abstract Fiber we’re busy getting ready for OFFF and SOAR. We’ve got some fabulous new colors including Summit, Lagoon, SOAR, The Gorge. The next best thing to being at SOAR is our SOAR colorway, the color of Autumn leaves. Available now at abstractfiber.com . 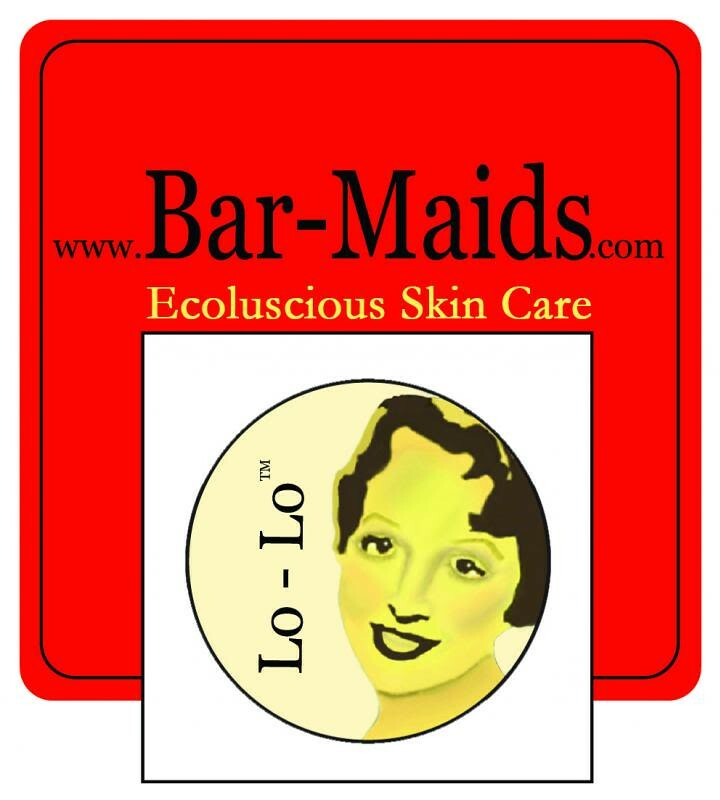 Meet Lo-Lo by Bar-Maids, "The Hottest Natural Moisturizers in the Fiber World”. Bar-Maids handcrafts head-to-toe moisturizers for people who wish to proactively protect, defend, and restore their skin to baby bottom soft. Bar-Maids uses only the finest local ingredients available creating non-greasy, non-sticky, non-flaky combinations that penetrate multiple layers of the skin working to soften and nourish. Once applied, the moisturizer remains where you put it and is not washed down the drain. With over 38 scents (that smell wonderful), and 8 lip balm flavors that taste yummy, it's hard to choose just one. Find out how you can keep your hands moisturized and beautiful while knitting up a storm at www.bar-maids.com Fair shipping practices, cruelty free, and fast turn around times are just icing on the cake. Jasmin is working on projects out of her UFO bin. She is making tracks on the Garter Yolk Cardigan. It needs buttons and button bands, and she will pick up some grosgrain ribbon for finishing it. Also, the baby sweater for Logan needs ribbon. She worked on her Sothia with a number of different needles. She used some from Jenkins, that have nice points, she then moved to CocoBolo needles from Asciano, and then moved to Chia-goo needles, and finished up with Addi Turbos. She has also dredged up her Cassidy out of her UFO bin, that she is knitting out of Miro in the colorway Rosewood from Abstract Fiber, while she was watching Alien Resurrection. Also, she is occasionally working on the Prairie Blanket by Oat Couture. And she is also occasionally working on the Vanilla sock out of Trekking in her purse. Gigi is working on her second Ophidian out of green Heritage, and is not liking her needles as much as the Chia-goo needles. She is also working on the garter stitch section of the Sothia, and there are a lot of stitches. She is knitting it out of Abstract Fiber's Mighty Socks in Silver and Little Black Dress. She is also very excited about the prospect of downloading patterns from the Burda website. Gigi and Jasmin attended the stash swap at Purlescence, and Jasmin came back with a good haul. We answered a question as to where to get advice and where to order from. Jasmin has ordered from Eat, Sleep, Knit, also Webs and Abstract Fiber, as well as Purlescence with good results. She is not fond of Patternworks. Here we shop at Purlescence, Bobbin's Nest and Yarn Dogs. As to getting help and advice for knitting problems, and building a knitting group, Jasmin would make friends with people at the yarn store and build a knitting group that way. She suggested finding people by sitting at a coffee shop and knitting there and waiting for knitters to approach. Panera Restaurants seem to be very knitter friendly. Meetup.com seems to be a good place to find knitters. Also: find the local knitters through ravelry groups, and making yourself approachable in a public place. Gigi suggested taking knitting to the kids' school functions and catching other knitters there. Check the bulletin board at your local knit store. We also mentioned the Monkey Business Episode. This week, we review the Stitch Light by Buffy Ann Designs. Jasmin got dirty looks using it at a bar at Stitches. We were using them watching The Good Guys in the backyard and using the lights. Gigi couldn't get it to work hanging it from her neck. Then she strapped it on her head and nearly blinded Jasmin when she turned to her. It has a very strong light. Jasmin dangled it from her neck, and the lens got really hot. Andrew bought a head lamp from REI that works much better. We didn't find it comfortable, and we couldn't make it work for us. We do not recommend it. Jasmin ran 9 ounces short on the yarn she is spinning for Andrew's sweater, because she didn't do the math right. So she has to spin more. We also took advantage of the nice weather and cleaned two spinning wheels, Jasmin's Schacht Reeves and a friends Schacht Matchless. They used Murphy's Oil Soap to clean the wheels and after drying the wheels polished them with Wood Beams. After letting the wheels sit in the sun for a while and cure, the wheels got wiped off and buffed and now they both look glorious. The link works but the next window will not play the audio file. Is it just me? Not just you! I'm having the same issue! Hope it gets fixed soon. Would love to hear the new episode! Hiya! Please try restarting your browser, I can't reproduce this problem. 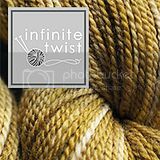 I live in a rural area so can relate to your listener who is looking for a good online yarn store. My closest yarn store is 85 miles away, so I seldom get to visit it. This shop has an e-newsletter and online shopping. Unless I want to buy acrylic from WalMart, I have to drive an hour-and-a-half or shop online. WEBS and Jimmy Beans Wool are my two favorites and have excellent customer service and shipping, but I also buy from KnitPicks and Elann. When you suggested to meet-up in a local coffee shop, I had to giggle. Our two "local coffee shops" are located in the deli area of our lone grocery and a gas station! There is really no place to meet and knit in public - even the library has odd hours and inadequate comfortable seating. However, we did start a knit/crochet group that meets at the University Cooperative Extension Service office. Every county should have one, and I could almost guarantee that the director would be thrilled to have you meet there, (the more they do, the better their funding. Our director even puts news about the group in the newspaper to try to attract more participants. They love the publicity! I also love Jimmy Beans - they are extremely helpful and courteous on the phone, and I love their website. Great Podcast Ladies. 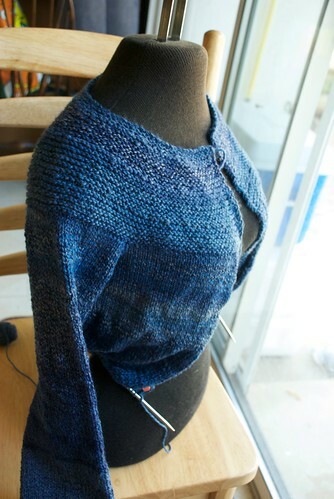 Instead of listening at the gym, as usual, I sat and knit! How novel is that!!! Enjoyed hearing your podcast. I had to chuckle as I cast on two projects yesterday. I guess I got a case of what you call startitis. Chrome doesn't seem to like the last couple episodes, but I had no problem in Firefox. Might want to give that a try. I live in HI, so there are only a few LYSes, and many companies can get out of hand with their extra shipping charges to Hawaii. I second the Knitmores' suggestion of WEBS--great service, and fast shipping, but also really like Jimmy Bean's Wool. GREAT customer service, and a flat-rate ($4.95 last time I checked) shipping. I swear my last order arrived in about 3 days. I would also recommend Jimmy Beans Wool for online ordering. They have very fast shipping. I order yarn late last Friday afternoon Eastern Time and received it by Monday at 11 am Eastern Time. I was absolutely amazed. I live in Indiana and they are in Nevada. I did not have a knitting group for a very long time as the nearest shops were about an hour away. Our group started meeting in the cafe of the local barnes and noble. Then last year, a lys came to the area and we moved our group there. We have a thriving knitting group. It's makes all of the difference. Plus, we have become great friends. I think the extension office would be a great place to start in a more rural area. Plus, I think the suggestion to knit in public is good. Just yesterday morning, I was knitting in the waiting room of the hospital lab. The lab tech is a knitter and we had a wonderful conversation about knitting and startisis. I was surpised how many knitters, crocheters and spinners we have in our area once our group got up and running. Jasmin and Gigi, another wonderful podcast.